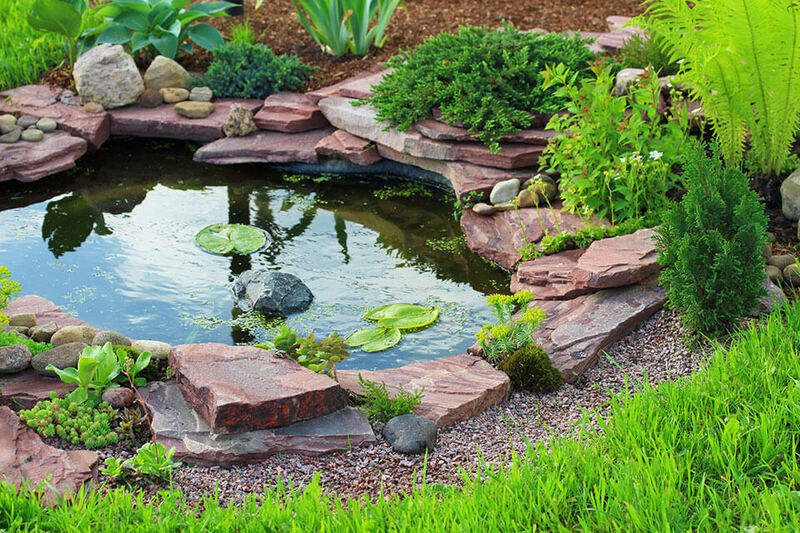 A custom backyard pond is the perfect way to add a touch of nature to your home—for a lot less than you think. 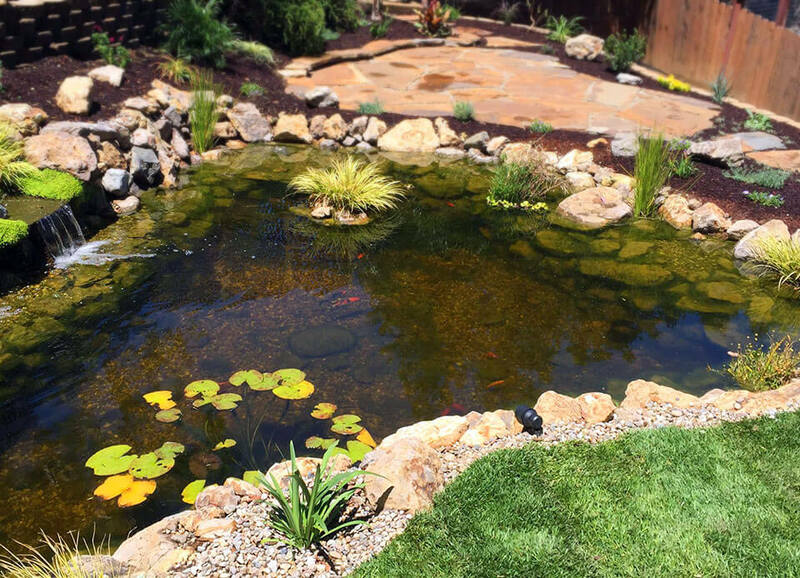 At Chuck’s Landscaping, we’re proud to offer high-quality custom pond design and pond construction in Canoga Park and throughout the Los Angeles area. 100% of our ponds are designed to be environmentally friendly, low maintenance, and long lasting, so you can enjoy your new pond for years to come. At Chuck’s Landscaping, we pride ourselves on combining high-quality parts with high-quality workmanship. Our custom pond designs bring it all together with breathtaking, environmentally friendly, and long-lasting ponds that will totally transform your yard. Why Should Chuck Be Your Pond Contractor? We are a locally owned and operated pond construction company with a small, focused team that treats our clients like family. We work in a wide array of styles, from contemporary and modern to classic, Spanish, and transitional. If you know exactly what kind of pond you want, down to the stones, we can bring it to life. If you have no idea what kind of pond you want, we can work with the environment, your tastes and your budget to create the pond you never even knew you wanted. We can also incorporate a custom waterfall into your new pond. There is nothing like a koi pond or fish pond to turn an ordinary yard into an unforgettable yard. Don’t trust a pool service or regular landscaper with your aquatic landscaping. That’s especially true when installing a fish pond, since a good-looking pond just isn’t good enough. Our team of licensed Aquascape contractors will show you what to expect when raising your koi or pond fish, from feeding and everyday care to disease prevention. The best koi pond designs will also factor in potential changes to your pond over time, such as introducing turtles or other aquatic life. 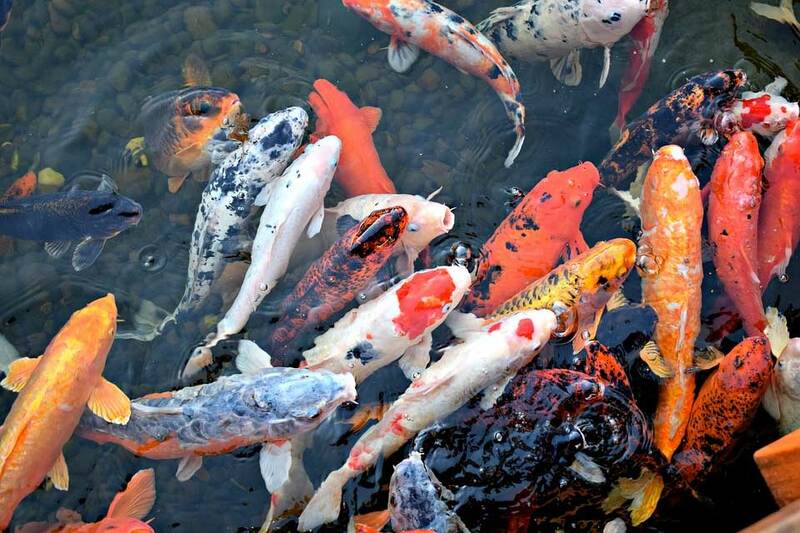 Our koi pond construction team will take special considerations when it comes to aeration, choosing the right plants, and keeping the water’s chemical levels perfectly balanced. Add value to your property – A custom pond installation can help transform an otherwise forgettable yard, and property buyers will appreciate it too. 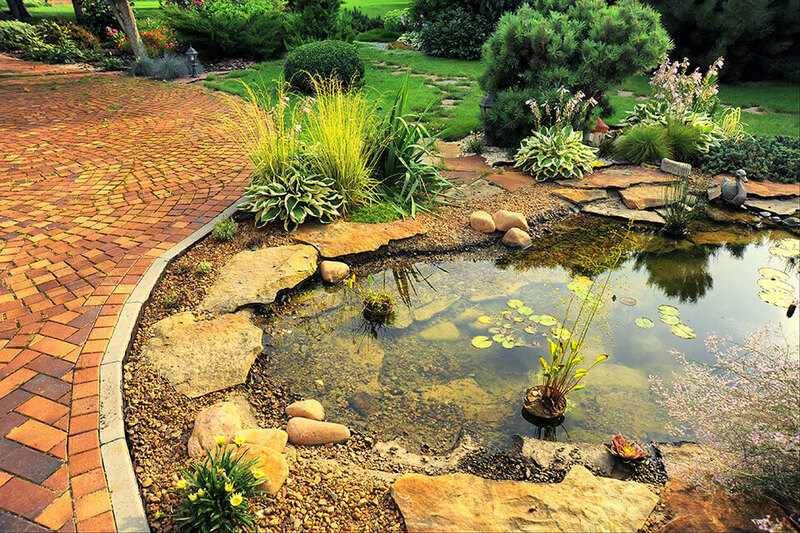 A stunning custom pond can help your home stand out in a crowded housing market. Improve your environment – It may sound counterintuitive, but once your pond is full it doesn’t require much water. Our clients have found that their new backyard ponds require less water month to month than the plants or lawn that they replaced. Creating an environment for wildlife and plant life can bring new life to your yard as well. Stress relief – It’s hard to see just how relaxing and luxurious it can be to have your own pond until you actually own one. Unwind while feeding your koi fish, or just pull up a chair, a glass of wine and a good book. Ready for your Own Pond? Get a free estimate for your custom pond design & installation today.